Our world class marina and marine service centre is one of the most popular in New Zealand. Beautifully situated and impressively resourced, it’s the perfect gateway to the superb boating and cruising grounds of the Hauraki Gulf. Whether you are cruising, racing, or skippering a vessel – bring your boat home to Auckland’s premier boat harbour - close to the heart and all the best adventures of the Gulf. Easily accessed, away from the busy city waterfront, we offer superb one-stop facilities for every kind of vessel management. For easy, hassle free boating without the headache of home storage, boat ramps or antifouling, vessels up to 9m can be stored and launched at our secure facility. Simply load up, step on and depart into the heart of the Gulf. 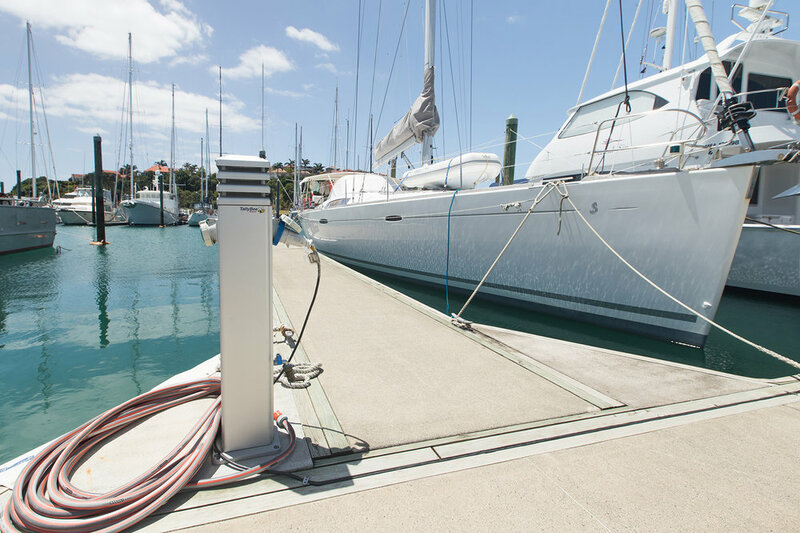 The Gulf Harbour Marina Travel lift and Hardstand operation is one of New Zealand’s premier haul-out and wash-down facilities. Vessels up to 100 ton and measuring up to 7.8m in beam are lifted and stored by our highly experienced team. Vessels up to 55m can be accommodated at Gulf Harbour Marina in fully powered and serviced berths. We can also tailor to your specific needs. Remember, for hassle free boat maintenance, we have a huge range of marine services right here on site. Our modern marina with its superior land-based facilities never fails to impress. It’s our pleasure to always find new ways to best serve your boating adventures. It's what drives us.